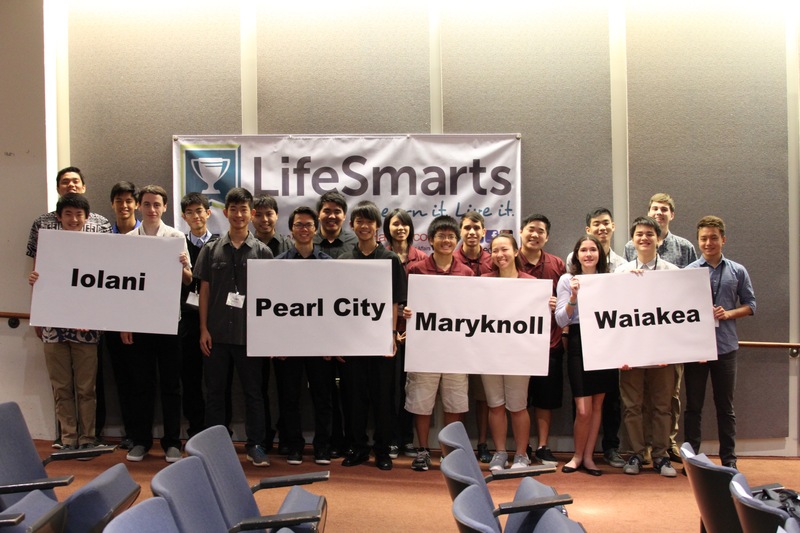 HONOLULU – The Department of Commerce and Consumer Affairs (DCCA) Office of the Securities Commissioner announces the start of the 2016-2017 LifeSmarts Hawaii Competition. The online portion of the competition will be open from Monday, October 24, 2016, to Friday, December 2, 2016 at 7 p.m. HST. The four highest scoring high school teams will be invited to compete at the state championship competition in Honolulu on February 11, 2017. The winning team will represent Hawaii at the national LifeSmarts competition, scheduled for April 21-25, 2017, in Pittsburgh, PA.
“We are proud to be a sponsor of LifeSmarts Hawaii and we encourage teams to sign up,” said Securities Commissioner Ty Nohara. Middle school or “Junior Varsity” (JV) teams with students in grades 6-8 may participate in an online-only competition from August 1, 2016 to January 31, 2017. Winners of the JV competition will be recognized online. For more information about the LifeSmarts Hawaii program, please visit www.lifesmartshawaii.com or contact the LifeSmarts State Coordinator, Theresa Kong Kee, at 587-7400 or tkongkee@dcca.hawaii.gov. The LifeSmarts Hawaii program is locally sponsored by the Department of Commerce and Consumer Affairs (DCCA) Office of the Securities Commissioner, in partnership with the Hawaii Credit Union League, and is run by the National Consumers League. Over 1,100 local students have participated in LifeSmarts since 2005. Local businesses interested in becoming a sponsor of the LifeSmarts Hawaii program are welcome to contact the State Coordinator for more information. 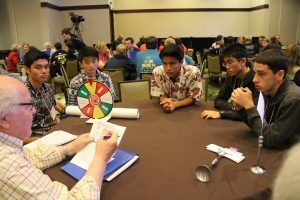 Group: Student teams at the 2016 Hawaii LifeSmarts championship held at the State Capitol. 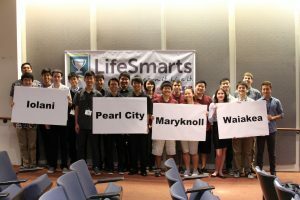 National: Iolani School participating at the National LifeSmarts competition.